A long core of 23.6 m was acquired at the DH-1 site (37°36.651′N and 129°19.709′E) in the Korean continental margin of the western East Sea. The core site is located near the Donghae City and the water depth is 357.8 m deep. A geoacoustic model was reconstructed for 7 geoacoustic units of the core sediments, based on the measurements of 125 P-wave velocities and 121 attenuations. The P-wave speed was compensated to in situ depth below the sea floor using the Hamilton method. 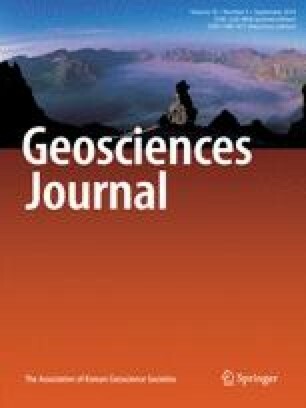 The geoacoustic model DH-1 probably contributes for reconstruction of geoacoustic models reflecting vertical and lateral variability of acoustic properties in the Korean continental margin of the western East Sea.